Shchi (cabbage soup) had been the main first course in Russian cuisine for over a thousand years. Although tastes have changed, it steadily made its way through several epochs. Shchi knew no social class boundaries, and even if the rich had richer ingredients and the poor made it solely of cabbage and onions, all these "poor" and "rich" variations were cooked in the same tradition. The unique taste of this cabbage soup was from the fact that after cooking it was left to draw (stew) in a Russian stove. The "Spirit of shchi" was inseparable from a Russian izba (log hut). 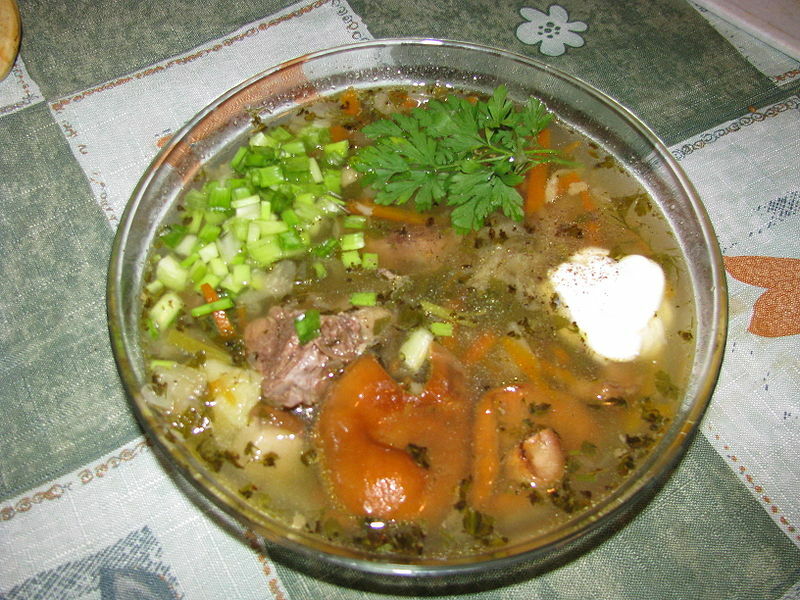 Many Russian proverbs are connected to this soup, such as Shchi da kasha pishcha nasha ("Shchi and porridge are our food"). It can be eaten regularly, and at any time of the year.